Hardey Resources Limited (ASX:HDY) has today informed the market of a positive review it has conducted of its 100%-owned Grace gold project, which shows significant untested IP anomalies and open-ended gold mineralisation. In the fourth quarter of 2017, HDY acquired full ownership of the Grace tenements including multiple gold prospects located advantageously just 25 kilometres southeast of Newcrest Mining’s (ASX:NCM) 32 million ounce Telfer gold-copper mine. The most advanced of these prospects is the Grace deposit, which has been owned by Newcrest since the 1970s. This is the first time in over 40 years that the Grace Project has been consolidated under the ownership of an ASX junior like HDY. The company’s detailed review has now captured all existing drilling and geophysical exploration data relating to the tenements, and has provided HDY with more confidence that its recent acquisition is an asset of extremely high value. It should be noted however, that HDY is an early stage play and anything can happen, so seek professional financial advice if considering this stock for your portfolio. The review also indicates the potential for significant additional discoveries of gold and copper. The review demonstrated significant high-grade intersections and multiple IP anomalies along the regional Grace-Bemms Shear, as well as showing that the Grace deposit remains open in all directions and at depth. In terms of the potential for further gold and copper discoveries, rock chip sampling returned results as high as 52.3 g/t gold and 29.49% copper respectively. Further, large IP anomalies remain untested along the Grace-Bemms shear, and the company also confirmed outcropping mineralisation at the Bemms Gossan. The Grace Gold Project is only 25 kilometres from the Telfer Mine (32 million ounces gold, 1 billion tons copper) and processing mill, which could prove useful for HDY’s future prospects for toll treatment. 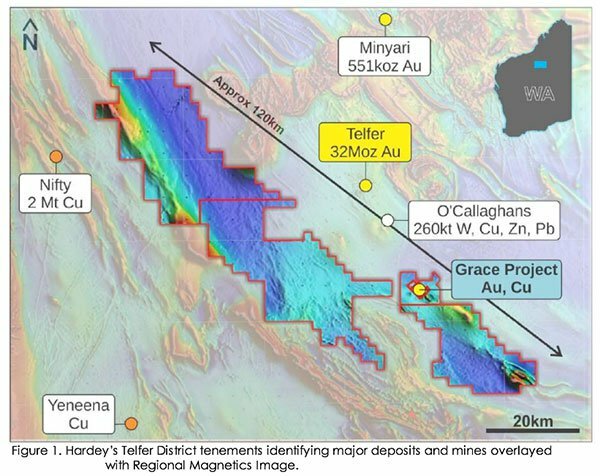 HDY Executive Director, Terence Clee commented on today’s announcement: “The technical team at Hardey are excited by the outcome of the desktop review, which highlights the high grade nature of mineralisation at the Grace Gold Project and appears to remain open in all directions and at depth. According to today’s announcement, the Grace Gold Project — located only 25 kilometres southeast of the Telfer gold mine — consists of a “sub-greenschist facies regional stratigraphic sequence of quartz rich sandstones and interbeded siltstone/dolomite units of the Malu and Isdell Formations”. The deposit’s gold mineralisation is also associated with quartz-dolomite-pyrite veins and hydrothermal breccias. To date, the Grace deposit has been drilled along 450-500 metres of strike and 90 metres across strike to an average depth of 73.4 metres. Exploration activities have returned evidence of high-grade shallow oxide gold mineralisation which commences from surface. It is also believed that general transported cover (meaning sand dune and/or colluvium) is thin over the project area. In addition, high-grade primary gold remains open in all directions at the Grace deposit, and the current status of further high-grade copper mineralisation remains prospective. There remains considerable regional greenfields potential for HDY, due to the fact that the company also has extensive tenement applications covering 1594 square kilometres in the Paterson Province to compliment the Grace Gold Project. – Drilling intersected mineralisation along a 3.9 kilometre of strike and remains open. – There’s the potential for an additional parallel fault structure not yet tested. 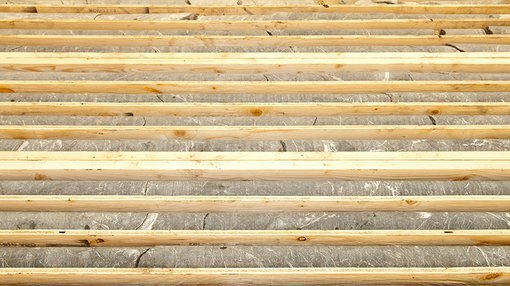 – Drilling to date has been predominantly shallow with an average drillhole depth of 73.4 metres. 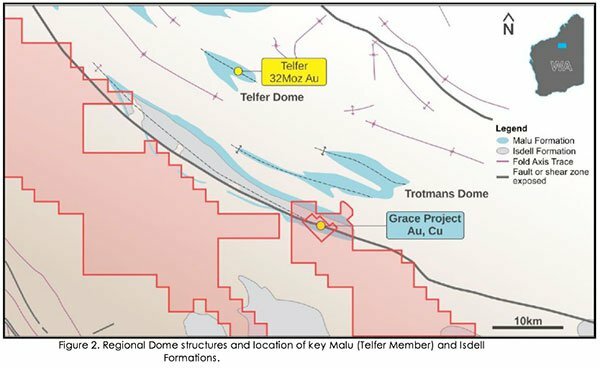 – Grace deposit as identified within a large regional dome structure is interpreted to be of the same large mineralised system as the Telfer gold-copper-silver deposit 25 kilometres to the north. – Existing Induced Polarisation (IP) survey data correlates strongly with existing drilling and mineralisation showing multiple additional high order anomalies that remain untested.